Chase bank is currently offering a $200 bonus and a $150 bonus for opening Checking and Savings accounts respectively. For the checking you have to set up direct deposit from your job or government benefits and with the savings it requires a $10,000 balance. Read all the details at the Chase site. To receive the $200 checking bonus: 1) Open a new Chase Total Checking account, which is subject to approval; 2) Deposit $25 or more at account opening; AND 3) Have your direct deposit made to this account within 60 days of account opening. Your direct deposit needs to be an electronic deposit of your paycheck, pension or government benefits (such as Social Security) from your employer or the government. After you have completed all the above checking requirements, we'll deposit the bonus in your new account within 10 business days. 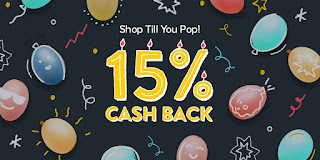 To receive the $150 savings bonus: 1) Open a new Chase SavingsSM account, which is subject to approval; 2) Deposit a total of $10,000 or more in new money into the new savings account within 10 business days of account opening; AND 3) Maintain at least a $10,000 balance for 90 days from the date of deposit. The new money cannot be funds held by Chase or its affiliates. After you have completed all the above savings requirements, we'll deposit the bonus in your new account within 10 business days. The Annual Percentage Yield (APY), for Chase SavingsSM effective as of 3/16/2018, is 0.01% for all balances in all states. Interest rates are variable and subject to change. Additionally, fees may reduce earnings on the account. You can receive only one new checking and one new savings account opening related bonus each calendar year and only one bonus per account. Bonuses are considered interest and will be reported on IRS Form 1099-INT (or Form 1042-S, if applicable). Does This Mean Chase is Rejecting Me (again)? I just applied for a Chase Ink Business Cash Card since it currently has a $500 cash back promo after spending $3000. Credit to Slickdeals for reporting the deal. I suspect I might be getting a rejection letter in the mail in a few days. We'll see. I signed up using my rentals as a business and I think thats legit. But it might not pass their muster if I filled it out wrong. I suspect that I might fail the chase 5/24 rule which rejects applicants who've signed up for 5 cards in the past 24 months. I'm not sure as I've lost track of the cards I've applied for. I found this paper excerpt on NBER titled The Evolution of Retirement: An American Economic History, 1880-1990 Figure 2.1 in the document shows the labor force participation for men age 55-64 and 65+ from 1850 to 1990. Most men over 65 were working up until the 1940's. The concept of retirement as we think of it now wasn't invented with Social Security. But its still a relatively new thing in the history of the world Just 150 years ago the vast majority of men over 65 were still working. Today Ebates is celebrating its 15th anniversary by offering 15% cash back across 400+ stores. And a long list of others. Most single family and 2-4 unit rentals are owned by individuals rather than businesses. The chart shows the % of each rental size category that is owned by an "institutional investor". They list the 2015 Rental Housing Finance Survey as their source for the numbers. Looking further into that data I find that they break down ownership into categories of "Individual Investor" and several different kind of business entities. The lists includes : Trustee for estate, LLP, LP or LLC , Tenant in common, General partnership, Real Estate Investment Trust (REIT), Real estate corporation, Housing cooperative organization, Nonprofit organization,Other and Not reported. I'm not sure how they split it up. Its unclear how they decided which of those categories are "institutional investors" and which aren't. For example an LLC might be some big hedge fund or it might be an individual. In any case if we just look at the "Individual Investors" and then assume that anything else isn't an individual we still see that most properties in the 1-4 unit size are owned by individuals.